With so many antimicrobial hygienic wall cladding solutions available, and with each fitting several purposes, it is essential that you choose the best option to suit the specific needs of your business. In order to make an informed decision on which type of antimicrobial wall protection is best suited to you, it is important to develop your understanding of what you want out of your cladding solution, along with which solution will match your project in terms of hygienic protection as well as aesthetics. We’ve identified three effective hygienic cladding solutions that could be best suited to your space. Antimicrobial wall cladding will provide your hygienic space with a solution that kills microbes by up to 99.9%, without having to compromise on design aesthetics. 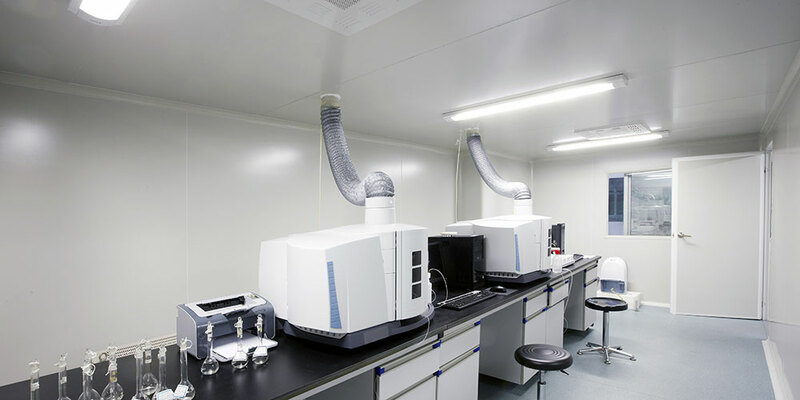 If your business operates in an environment where harmful bacteria and microbes are likely to be exposed to common surfaces, such as a laboratory, an antimicrobial solution is most suitable. Here at BioClad, we provide antimicrobial hygienic wall cladding solutions for businesses. We use BioCote technology to reduce microbes and improve the hygienic qualities of common areas. Our solutions are also available in a number of colours and finishes to add vibrancy to your space. For more information, read our antimicrobial wall cladding section. BioArmis is the first antimicrobial PVC cladding solution in the world for walls and doors. It is highly effective in maintaining the hygienic qualities of working spaces that are prone to viruses. BioArmis works to protect spaces against common viruses including E.Coli, MRSA and influenza, meaning that it is highly suitable for any environment where inhibiting the growth of bacteria and microbes is critical, such as a hospital. Available in a number of colours and finishes, BioArmis also uses BioCote technology to provide an antimicrobial solution to ensure that businesses in critical sectors are operating in a safe and secure environment. For more information, read our BioArmis wall protection page. Advanced PVC hygienic wall cladding is versatile and effective. It does not harbour bacteria like typical wall protection solutions do, meaning it is suitable for almost any working environment. PVC cladding is resistant to a number of chemicals and works to reduce the growth of bacteria, making it extremely suitable for food production areas such as a restaurant kitchen. At BioClad, our high-quality PVC hygienic cladding solutions can be welded or thermoformed, and are available in a range of colours. For more information, read our hygienic wall cladding section. Finding the right hygienic wall cladding solution for your business all depends on the specific needs of your hygienic space along with the scale of your project. It can, however, be made inherently easier by researching specific wall protection solutions and finding one best suited to you. Here at BioClad, we provide antimicrobial hygienic wall cladding solutions that transform your working space. To find out how we can help your business, do not hesitate to contact us today!